supporting the repository and genealogy library,The West Texas Collection, at ASU through donations of genealogical and historical materials. We meet September through May for a presentation on a historical or genealogical topic, refreshments, and networking with fellow genealogists. SAGHS hosts annual workshops with topics beneficial to family research, weekly help sessions at WTC, interesting mini-seminars, records abstraction and research forums plus an informal monthly luncheon and computer workshops to trade tips and help solve each other’s genealogy quandaries. 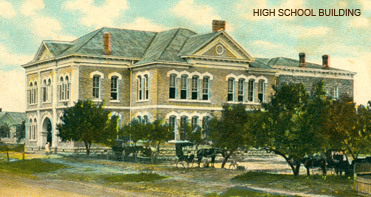 SAGHS regularly purchases and donates genealogy and family history books to the West Texas Collection. Pioneer Certificates encompassing 13 counties are available to those who qualify. We also offer several (free) beginners classes at the library and hold genealogy classes for beginners and intermediate researchers covering specific topics. The monthly SAGHS Newsletter is provided free to anyone interested. The members-only area of this website includes an archive of past newsletters, informational documents and forms, plus webinars of past presentations. We meet the first Tuesday of each month, September through May, unless otherwise noted in the "Events" section, at 7:00 PM. We provide refreshments and all meetings are free and open to the public.